The Chatham campus of St. Thomas University produced many outstanding all-round athletes and Saint John’s Pat Barry was one of the best. Barry was a three-sport athlete who distinguished himself in hockey, rugby and football. 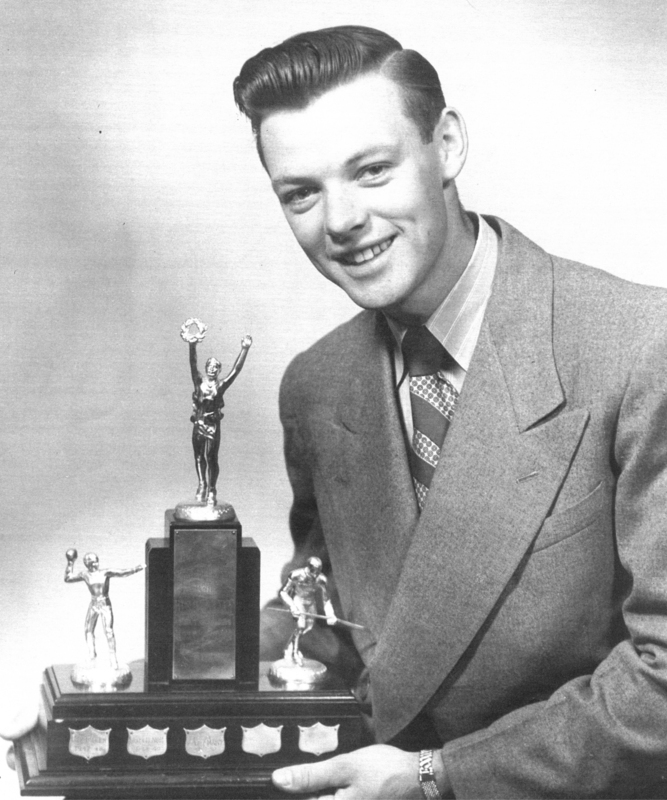 In hockey, he was an outstanding defenseman, serving three years as captain and leading his team to the New Brunswick-Prince Edward Island Intercollegiate Championship in 1951. Before the birth of Canadian Football in New Brunswick, he was fullback on the St. Thomas rugby team that won the Maritime Junior Intermediate Rugby Championship. When Canadian Football was introduced at St. Thomas, Barry was the first quarterback and captain of the football team. He was athlete of the year at St. Thomas College in 1950. Two years later, the football team went undefeated in the regular season, winning six straight games. They then beat UNB decidedly in a two-game playoff in Chatham and in Fredericton.